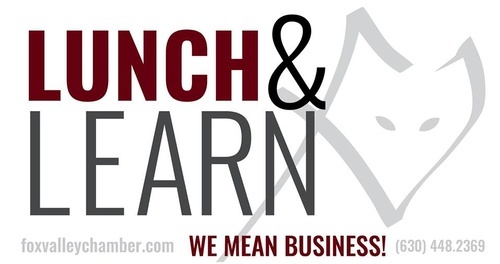 Lunch & Learn - "Navigating Legal Issues for your business"
Name: Lunch & Learn - "Navigating Legal Issues for your business"
Business Owner or Manager? We all come up against Legal Issues that affect our business. Liability, Structures, Partners, Labor, Contracts, Intellectual Property, Estate Planning? Safeguard your business today and tomorrow. Labor- Subcontractors, Non-compete Agreements,Termination and Discipline, Training, Employee Manuals. General Business - Liability, Legal Structures, Contracts. Estate Planning - Succession Planning, Partners, Buy-Sell Agreements, Exit Strategy. Intellectual Property - Tradenames, Processes. Come join us for Lunch (paid at event) and Learn about Legal Issues affecting your Business ($10 fee members, $15 for non-members). 2018 - Get ready for your next level. This Workshop is designed for all business community members that want to increase their business knowledge and effectiveness! Leverage your membership in the Fox Valley Chamber. Learn to run and grow your business at this workshop and at our regular monthly events. Our members will help you. contact info@foxvalleychamber.org for sponsorship information. 6/12/18 Preservation Bread & Wine, Geneva "Understanding Employee Benefits and Leveraging for Attracting Talent"
7/23/18 Pal Joey's (new Randall Rd location). "Understanding Your Business Numbers - For Managing, Taxes and Banking"
8/? ?/18 Location Pending. "Business Culture and Brand - What is your Story?" 4/26/18 Noonan's Sport Bar & BBQ. North Aurora. Sponsored by Sojourn Salon. Joint event with Aurora Business United. 5/23/18 Old Towne Pub, Geneva. Joint event with Fox River Referrals. 6/19/18 Northern Illinois Food Bank, Geneva. Joint event with Fox Valley Chamber Young Professionals. Sponsors by Morton Wealth Strategies and River City Chiro Mobile. 7/19/18 Global Brew Tap House. St Charles. 8/30/18 Annual Pig Roast. Windy Acres. Batavia. Sponsored by Orange Home Services, Adventures in Scavenger Hunting, iMPACT Business Coaching and more. Multi-Group Event. This is a benefit with your Membership. There is $10 ($15 non-,members) event fee. Prepaid.